1. 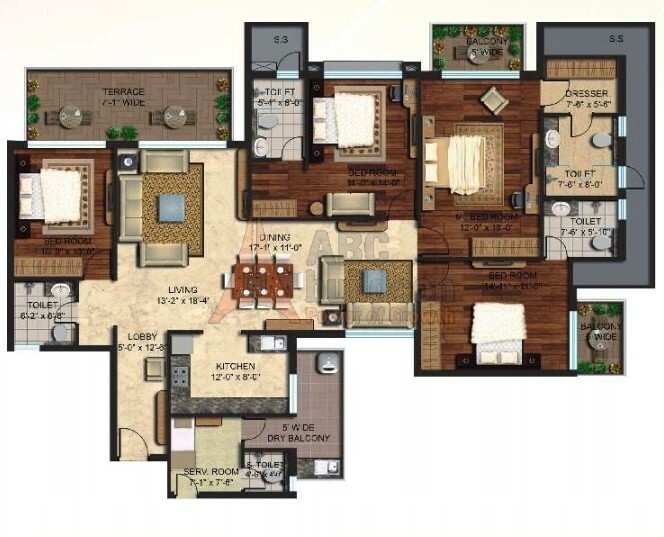 Mapsko Mount Ville Floor Plan 3 BHK – 1490 Sq. Ft.
2. 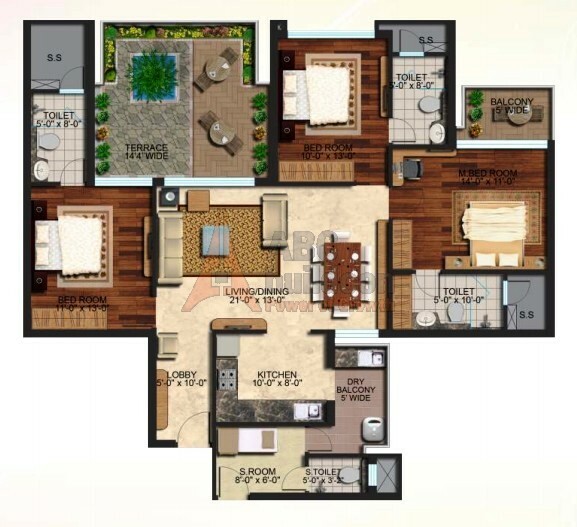 Mapsko Mount Ville Floor Plan 3 BHK – 1510 Sq. Ft.
3. 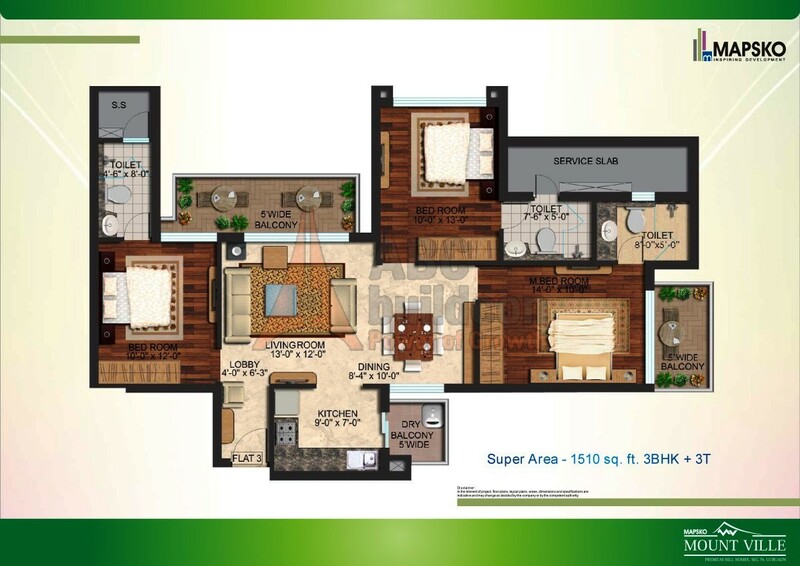 Mapsko Mount Ville Floor Plan 3 BHK + Terrace – 1620 Sq. Ft.
4. 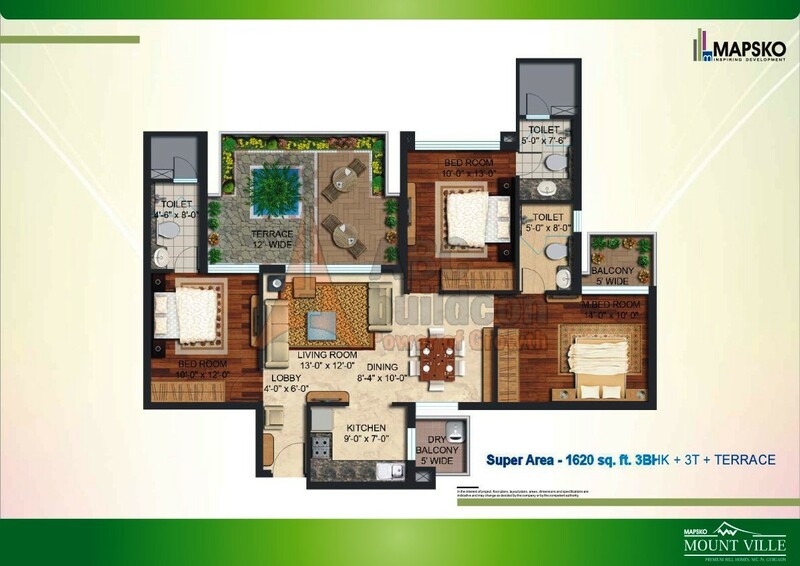 Mapsko Mount Ville Floor Plan 3 BHK + S.R – 1815 Sq. Ft.
5. 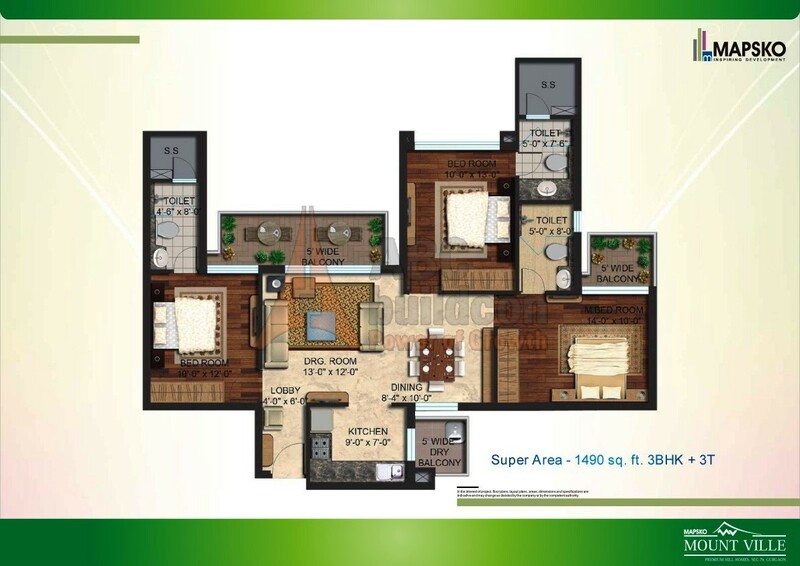 Mapsko Mount Ville Floor Plan 3 BHK + S.R + Terrace – 1960 Sq. Ft.
6. 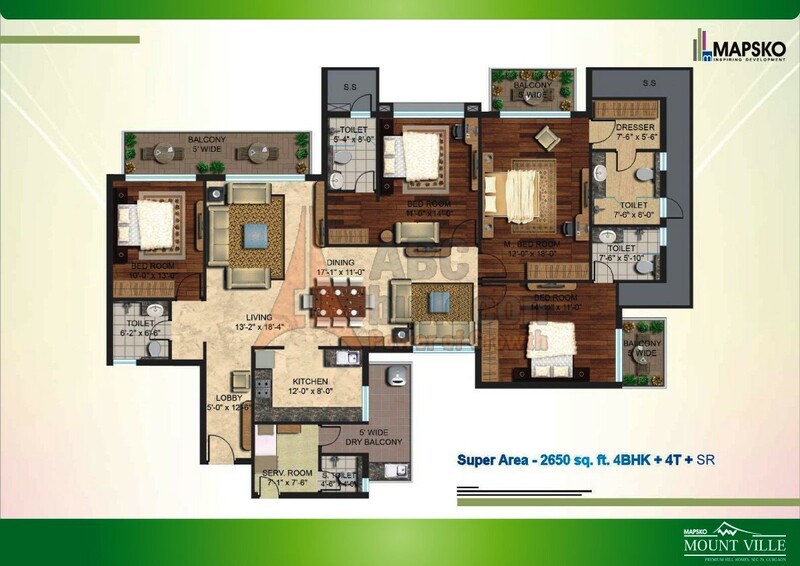 Mapsko Mount Ville Floor Plan 4 BHK + S.R – 2650 Sq. Ft.
7. 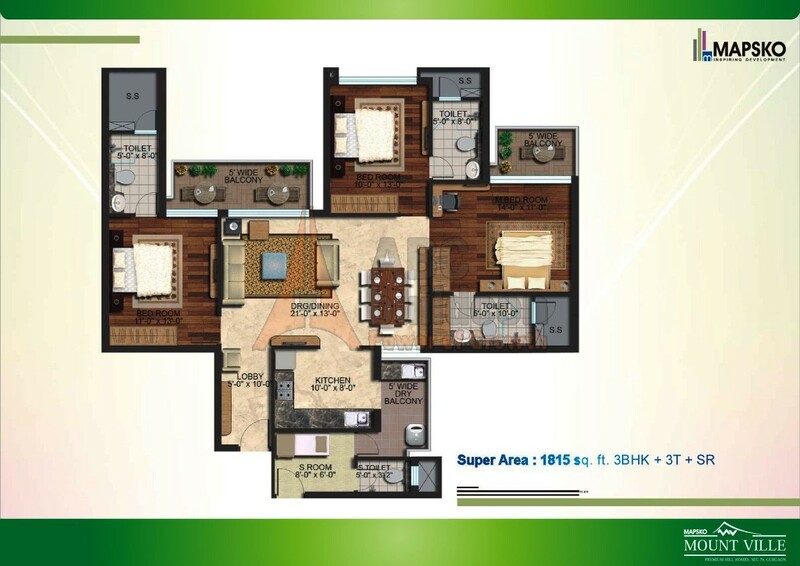 Mapsko Mount Ville Floor Plan 4 BHK + S.R + Terrace – 2710 Sq. Ft.